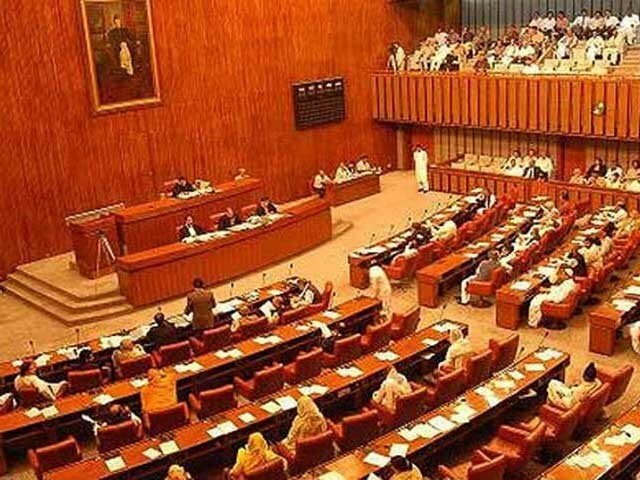 ISLAMABAD: The Senate Committee on Federal Education and Professional Training on Thursday directed the Higher Education Commission (HEC) to write a letter to the Pakistan Medical and Dental Council (PMDC) demanding an increase in the number of medical scholarships for students belonging to the former Federally Administered Tribal Areas (Fata) and Balochistan. The committee made the decision after observing that the number of scholarship-based seats set aside in medical institutes for applicants from Fata and Balochistan were inadequate. It also instructed the PMDC, the statutory regulatory body, to take immediate measures in response to the letter by HEC. The committee held its session at Parliament House with Senator Rahila Magsi in the chair. Magsi expressed disappointment over the repeated absence of the chairman of the HEC in the meeting. According to the department officials, the chairman was engaged in a meeting pertaining to a World Bank project. The committee chairperson asked the officials to ensure his presence in the next meeting of the committee. On the issue of lower number of scholarships for medical students from the two areas, Senator Usman Kakar said that the number had plummeted from 190 to only 29. Officials from HEC told the committee that scholarship seats for Balochistan and FATA during 2017 were 15 and 14 respectively. Senator Noman Wazir noted that scholarships were being given to students of Sri Lanka and other countries but those of FATA and Balochistan were ignored. The areas that have lagged behind should get their rights, he said. The HEC said that it had written a letter to PMDC, seeking allocation of three seats for Balochistan & FATA in every medical college. “Now the decision for 164 seats should be taken by the PMDC in light of the Supreme Court order,” the officials said. Officials from PMDC responded that the council only carries out registration of medical colleges while funds are issued by HEC. Senator Wazir inquired form the PMDC officials if had any objection over the increase in the number of allocated seats. The PMDC officials said that the dates for admissions for the current year have passed. The senator responded that the statement implied that PMDC did not have any reservations for increasing the number of seats for the next year. Wazir also censured the PMDC for awarding scholarship to international students but ignoring those from the two regions. The PMDC representatives said that they will support the move if directed by the HEC. The senator stressed that PMDC had to cooperate as it did not have any right to decline, and asked the committee to direct HEC to put the recommendation before PMDC. The chairman then directed the HEC to write a letter and submit its copy, adding that PMDC was obligated to extend its support. Senator Muhammad Ali Saif objected over the PhD course for law, lamenting that various universities of the country were not offering the course at all. “The logic for course requirement for PhD is flawed and holds no benefit. It is not understandable why course work has been made mandatory despite the guidelines of HEC,” said the senator. The HEC officials responded by saying that its requirement for PhD was 18 credit hours, but the course guideline was not dictated by the HEC, with universities having their own rules as well. Barrister Ali Muhammad Yousuf termed the HEC’s polices as unjust and asked HEC, the regulatory body, to look into the issue. Education Secretary Arshad Mirza assured the committee that it would be given due attention.